Xilisoft Movie Maker is a professional movie making software, that will help you easily to make movie, import and edit your videos. Upload your movies online, email them to friends or enjoy them on your computer, iPod, iPhone, Apple TV, PSP/PS3, Xbox, Zune, PMP, mobile phones. 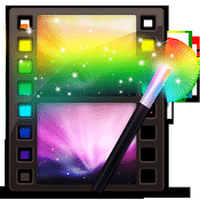 With Xilisoft Movie Maker, you are never short of ways to create, edit, and share your masterpieces. You can simply drag and drop videos to the movie list and make a movie quickly using this movie creator. Make a Movie from Multiple Videos. Select as many videos as you want and turn them into one movie. A lot of output video formats you can choose to fit your device include popular video formats such as AVI, 3GP, MPEG, MP4, RM, FLV, SWF, MOV, H.261/H.264), or HD videos such as HD AVI, HD MPEG-2/4, HD VOB, HD WMV. A Multitude of Video Formats. Almost all videos formats are supported including camcorder videos, HD videos, QuickTime videos, Real Media files. Supported input video formats: MTS, M2TS, HD AVI, HD MPEG-2/4, HD VOB, HD WMV, AVI, 3GP, M4V, MPEG, MP4, RM, RMVB, FLV, DV, VOB, SWF, MPV, MOV, QT, H.261/H.264, DAT, ASF, WMV. Fast Movie Creation. Make movies with the fastest speed possible without adding any effects. Create Video Copies. Create a new copy of the video every time you add an effect. Each copy is independent and can be edited separately. Clip and Trim Videos. Clip your video and retain the desired clips to make movies the way you want them to. Every video clip can be exported to the movie list as a single video. Alternatively, merge several of them together and export them as a new video. Crop Video Display Area. Simply drag the mouse pointer or specify the crop area size to crop a video image and remove black edges, logos, subtitles or any other bits you want to remove. Add Scene Transitions. To make your movies look even more professional, select from multiple transitions (slide, fade, squeeze, push, reveal, expand, shrink). You can also preview them in the preview panel. Add Subtitles and Audio. Add subtitles to your movie to help understand your movie easier. Add different types of music and sound effects to make your movie vivid and full of energy. Add Watermarks and Apply Effects. Add copyrights to your movies with logos and texts to prevent unauthorized use. Apply one or more artistic effects and adjust contrast, brightness, and saturation to keep your movies varied. Support Multi-Core CPU. Xilisoft Movie Maker can automatically detect your CPU. You can also specify the core number to improve efficiency. Set Video and Audio Parameters. Besides adding effects, you can also adjust general parameters like resolution, channel, and quality to make your movies perfect in every way. Work in the Background. Leave the movie making process running in the background to minimize CPU usage and easily run other applications at the same time. Post Movie Making Actions. Shut down, hibernate your system, switch it to stand by, or close the application after the movie making process is completed so you don’t have wait in front of your system.